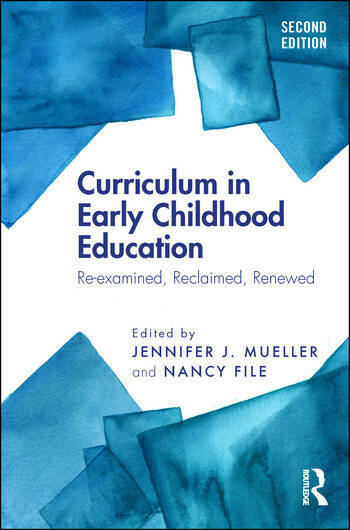 Curriculum in Early Childhood Education: Reexamined, Reclaimed, Renewed critically and thoroughly examines key questions, aims and approaches in early childhood curricula. Designed to provide a theoretical and philosophical foundation for examining teaching and learning in the early years, this fully updated and timely second edition provokes discussion and analysis among all readers. What influences operate (both historically and currently) to impact what happens in young children's classrooms? Whose perspectives are dominant and whose are ignored? What values are explicit and implicit? Each chapter gives readers a starting point for reexamining key topics, encourages a rich exchange of ideas in the university classroom, and provides a valuable resource for professionals. This second edition has been fully revised to reflect the current complexities and tensions inherent in curricular decision-making, and features attention to policy, standardization, play, and diversity, providing readers with historical context, current theories, and new perspectives for the field. Curriculum in Early Childhood Education is essential reading for those seeking to examine curriculum in early childhood and develop a stronger understanding of how theories and philosophies intersect with the issues that accompany the creation and implementation of learning experiences. Jennifer J. Mueller is Dean of the School of Education at St. Cloud State University, USA. Nancy File is Kellner Professor of Early Childhood Education at University of Wisconsin-Milwaukee, USA.